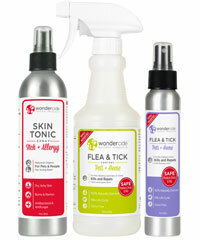 You have our word – no toxic chemicals. Ever. We’ll never use artificial colors or fragrances, preservatives, pyrethrins or synthetic pesticides. We know the value of sourcing and manufacturing in the USA. That’s why all of our products are made with love in Austin, Texas. Our customers are why we do what we do every day. Together, we’re ridding the world of unnecessary toxic chemicals – one family at a time.